Lion Ark, the multi award-winning film which charts the dramatic rescue and relocation of 25 lions from circuses in Bolivia by Animal Defenders International is set to land in cinemas across the UK from next month. Cinemagoers will be among the first to see what has been touted by critics as the “feel good movie of the year!” and rescue team leaders, Lion Ark Director Tim Phillips and Producer Jan Creamer, will hold Q&A sessions after the film. Since opening at Raindance, London and Mill Valley Film Festival, California, Lion Ark has taken the film festival circuit by storm with sell out shows, six awards, official selections for 14 prestigious film festivals, and an NAACP Image Award nomination for Outstanding International Motion Picture. More action adventure style than traditional documentary, feel-good movie Lion Ark charts one of the world’s most ambitious and daring animal rescues, as a team from Britain’s Animal Defenders International (ADI) swoops on eight illegal circuses spread across Bolivia following a ban. The story begins when ADI secures a ban on animal circuses in Bolivia following a two-year undercover investigation across South America. The shocking findings lead to public outrage and calls for action across the continent. Bolivia is the first to act. Now ADI must help the government enforce the law. The team journey across a vast, hostile terrain to track down the illegal circuses defying the new law, save the animals and bring them to safety. A joyous finale sees 25 lions airlifted to freedom in the US. A smash hit on the international film festival circuit, winning six awards, Lion Ark is told through live action interviews, in the moment, as events unfold. This is up close and personal, in the thick of the action; you are as close as you can get to these animals and to understanding their life in the circus and feel the fear and joy of the rescuers as they journey through their incredible mission. The Lion Ark rescue mission was backed by legendary and Emmy award-winning US TV ‘Price is Right’ game show host Bob Barker and CSI actress Jorja Fox (‘Sara Sidle’), whose company Seafox Productions is an Associate Producer and both appear in the film. 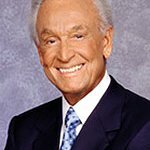 Bob Barker’s support enabled the rescue team to empty Bolivia of its suffering circus animals and build new homes for them in the US. A similarly ambitious rescue operation – Spirit of Freedom – is now underway in Peru, where ADI is once again assisting authorities to enforce an animal circus ban, having successfully secured the legislation. ADI currently has 22 lions and 11 primates in its care, and audiences will hear the very latest news. Lion Ark has recently been signed into distribution for television, video on demand, DVD / Blu Ray and in-flight entertainment with ITV Studios Global Entertainment, one of the world’s leading distribution companies which has its own channels in Europe, Asia, Africa and Middle East, including flagship ITV broadcasting in 40 countries. Tickets for the Lion Ark screenings are on sale now. Rescue team leaders Lion Ark Director Tim Phillips and Producer Jan Creamer will be coming straight from their latest Operation Spirit of Freedom mission in Peru and will be holding Q&A sessions following the screenings. Screening locations and dates: Cardiff (Nov 11); Glasgow (Nov 15); Liverpool (Nov 17); Oxford (Nov 25); Bristol (Nov 28); Guildford (Dec 1); London – West End Gala Screening (6 Dec); Colchester (Dec 9); New Brighton, Merseyside (Dec 11); Brixton (Dec 15); Southampton (Dec 17). Tickets and screening details are available here.